I need to do some math one of these days: tracking all of the notifications of the "must-have" applications and other technology resources that I ABSOLUTELY POSITIVELY MUST HAVE each school year. Then figure out how often I might be able to use any of those resources given a factor of how long it might take to test and become familiar with that resource and then attempt to integrate it in a lesson. OR, ed tech coordinators and directors can do as Vicki Davis (@coolcatteacher) advises and just pick three things. What three applications make sense? 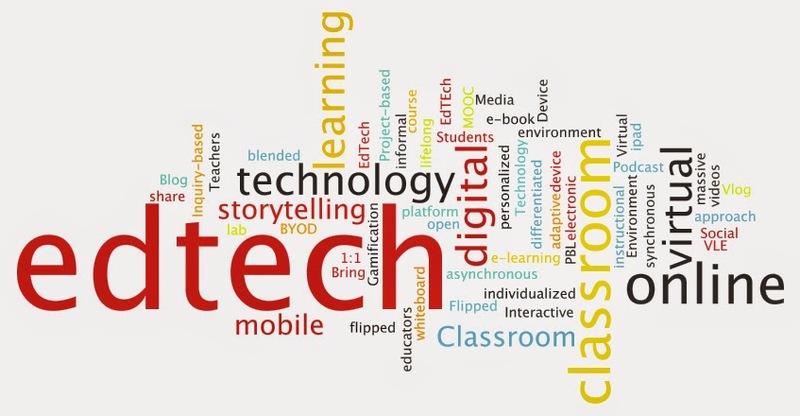 Perhaps the ed tech coordinator/director can make a recommendation of up to a dozen tech resources that could be useful across the school, regardless of grade or content area. Then teachers divvy up the exploration of and experimentation with each of the resources to report back to the grade level meeting. Think Check, Please or its variations but for teachers and tech resources. Then each teachers returns to the grade level meeting with recommendations for that particular resources: how it was used, the accompanying learning objectives, how students used the resource and responded to it, discoveries about implementation during and after class, etc. Having a checklist everyone uses would make the conversation easier. Then, as a grade, teachers decide which of the resources they want to try to use throughout the year knowing that others have tried or are trying the same resources so they have folks of whom they can ask questions and with whom they can collaborate. This doesn't preclude adding additional resources throughout the year, but it gives teachers a process for trying and evaluate resources, and for having someone else's perspective and insight. I know there are schools and districts that have ed tech committees made up of a group of educators across grade levels and content areas who work with the ed tech coordinator or director (and that person's team if he or she is fortunate enough to have an actual team) to review new apps and resources and then make recommendations of which one to examine more closely. That is, I think, an ideal situation but not always possible. Still, having others who can make recommendations based on some agreed upon criteria not only helps the ed tech coordinator, but ensures the likelihood of a broader range of resources being examined. As Ms. Coleman notes in her article 5 Reasons Why Great Edtech Products Don't Succeed, one of the reasons is the saturation of the market. So having some mechanism in place that offers a realistic product funnel may reduce some of the resistance to change and implementation of edtech products and resources. P.S. Grammar note: The "why" isn't necessary in the title of Ms. Coleman's article. Academically adrift, or a dash of apathy?